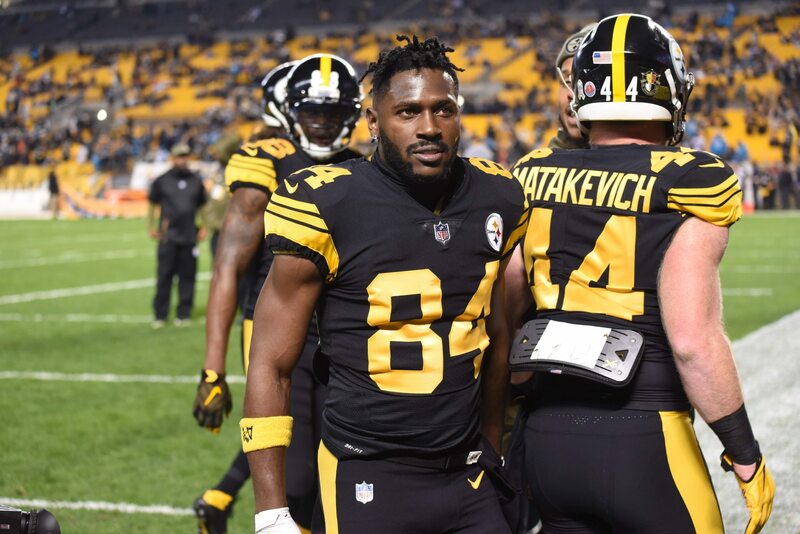 It has now become clear that Pittsburgh Steelers wide receiver Antonio Brown will be playing in another uniform next season. Fresh off a drama-filled 2018 campaign that saw him get into a spat with Ben Roethlisberger and be benched for Week 17, things didn’t end too swimmingly for Brown and his Steelers in 2018. Since then, Steelers head honcho Art Rooney II noted that Brown will likely be traded prior to training camp. That came at about the same time that Brown’s social media activity seemingly linked him to the San Francisco 49ers. It goes without saying that the 49ers will have interest in Brown. Given what his market promises to look like, it won’t come cheap. Even then, there’s logic to the idea of San Francisco adding Brown to the mix with All-Pro tight end George Kittle and youngster Dante Pettis. Here, we look at five trade scenarios surrounding Brown to the 49ers.